Well. What did you think about Day 1, my little shivering sugarplums? Uh-huh. You thought we were making it all up, about all the books we’re giving away and blah blah blah…NO! WE DO NOT MAKE THIS UP! I mean, the merry elves sometimes make stuff up and right now, they’re in the back and they’re really quiet, so that can mean one of two things. They’re either spiking the eggnog or they’re all absorbed in Star Wars: Rogue One trailers — ‘scuse me a minute…YOU GUYS BETTER NOT BE RUNNING THE BATTERY DOWN ON MY PHONE… ::ahem:: because OMG it opens the 16th and you remember last year when they went cray over Force Awakens. They’ve already busted out their light sabers and cosplay and omg we’ll see how that goes. We may let them take in a matinee because it does get crazy here. OMG YOU GUYS. WHAT THE…the reindeer can’t breathe in the stormtrooper helmet! How did you even…never mind. Take her outside and get that off her antlers. And no, you cannot put tinsel on the pizza. And stop spiking the eggnog. We’re only on Day 2. You know Jove and I don’t get to the spiking of the eggnog point until about Day 5. Moving along. Let’s all do a shout-out to all the authors and publishers who put stuff up for this here giveaway — THANK YOU SO MUCH. We couldn’t do this without you. So THANK YOU from the bottom of our pointy-toed elf boots! Oh, and Jove! Your banners are seriously rocking the house this year. For realz. Even the elves are impressed, and you know how they are. All right! Just like yesterday, to enter today’s drawing for the goodies, leave a comment below. Make sure you include your email address in the comment fill-out form but NOT in the comment body. There are ice creeps from the lower levels of the North Pole just itching to grab your email. Only the merry elves see it in the back, and they stash ’em in the peppermint vault where not only are they safe, but they smell super-good. We will do the drawing at 10 PM EST U.S. Check your world clock. We then notify right after we do the drawing, and we post the names of the winners next to the books they won. So if you see your name here but you haven’t gotten an email, check your spam filter. NOTE: we give the prizes away in the order they’re listed. So the first person drawn wins the first item, the second the second item, and so on. Otherwise, we’d all get confused and our heads would explode. Not pretty. We have also indicated where an author is willing to ship paperbacks. Sorry about that, but unfortunately it’s gotten pretty expensive. Please, one entry per person per day. You can comment all you want and have convos and stuff, but we’re only counting one of your comments as an entry. And authors, if your stuff is offered today, please don’t enter the drawing because that’s just freaky to win your own book. You’ve probably already read it, after all. And HERE WE GO! WELCOME! TO DAY TWO! Have fun and good luck! D Jordan Redhawk has ONE paperback (anywhere) of Alaskan Bride just for YOU! If you win. Let’s hope you do. After the American Civil War, a young woman agrees to be an Alaskan mail-order bride. But she doesn’t get the news that her prospective husband has died, so when she shows up, his sister isn’t that happy about it. But…things change. 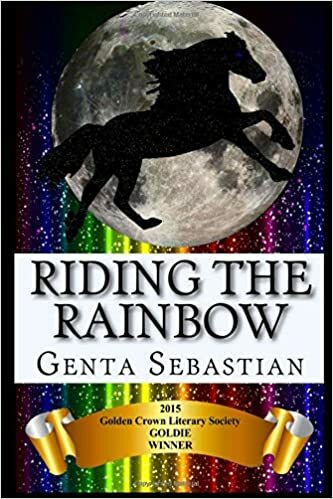 Genta has TWO ebook copies of this YA novel, Riding the Rainbow. Two young girls in the 5th grade. One has two moms and she’s bullied because of it. But the other has two dads, and she keeps it secret. There are TWO copies of Fallen Elements for two winners, ebook or paperback (US only for paperback). A train ride, a beautiful woman, a possible romance…but there’s also old magic afoot, an unexpected death, and a diary that leaves more questions than answers. Cindy has TWO awesome prizes for two winners. A full set of each of her three romances, ebook or paperback (US ONLY for paperback). Exception to the Rule, Getting Back, Love Is Enough. 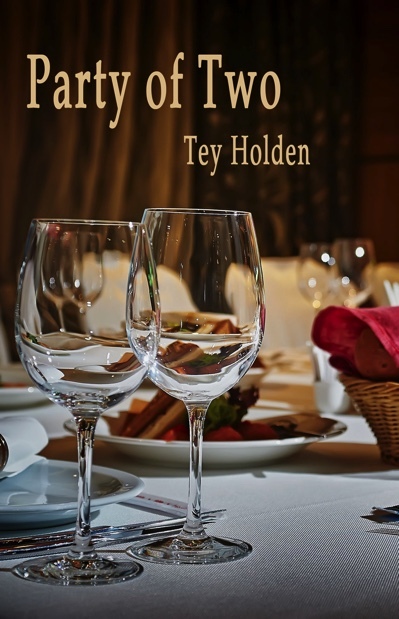 DeJay has ONE ebook copy of Redemption up for grabs. Three women, struggling to deal with the tragedies and heartaches life has brought, and maybe the redemptive power of love. 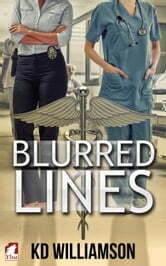 Award-winning author KD Williamson has ONE ebook copy of Blurred Lines ready for your hot little ereader. No-nonsense detective meets control freak doctor. When a tragedy brings them together, the lines between them blur. Rebecca has ONE paperback up for grabs (US only; possibly ebook available) of The Iron Phoenix (book 1 of the Storm’s Quarry series) ready to go. 17-year-old Nadya lives in the city of Storm’s Quarry, where she has two secrets. Powers and abilities she shouldn’t and feelings for another young woman. Carsen’s got the courtroom thrillers/romances! ONE copy of Beyond Innocence ready and ONE copy of Rush available. Ebook or paperback (US ONLY for paperback). 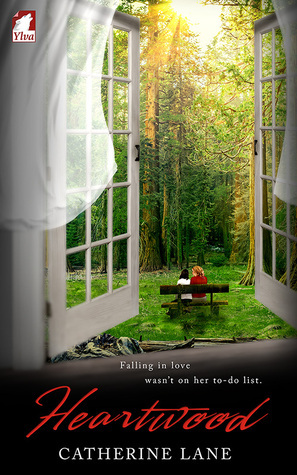 Catherine’s got TWO ebooks for two winners of her latest release this year, Heartwood. 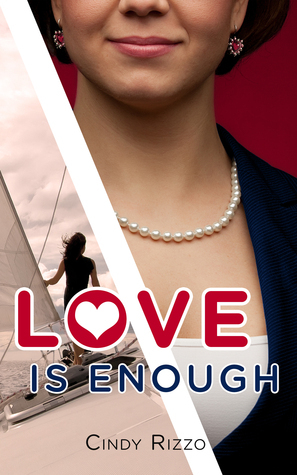 Nikka wants to make partner in the law firm, so she takes an assignment at a women’s resort and finds much more than she bargained for. Paige has ONE copy of Jane’s World: The Case of the Mail Order Bride for you, ebook or paperback (US ONLY for paperback). Jane’s PayBuddy account gets hacked, which results in a mail order bride from Transnistria, who shows up on her doorstep, ready for marriage and Jane has no idea WTF. Hijinks ensue! 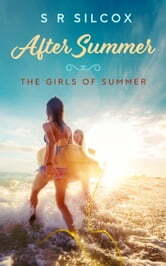 S R SILCOX – Winners parrothed and Pat H.
S R has TWO paperback (for anywhere) copies of her latest young adult romance, After Summer. Two young women, for whom the spark of summer love is only the beginning. 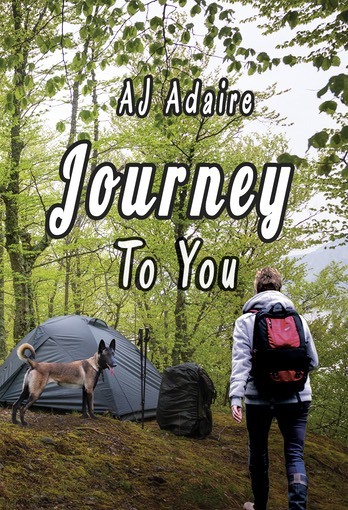 AJ has ONE ebook copy of Journey to You for a lucky winner. An adventure set in a post-pandemic world, where two friends have to join forces with another to survive. K’Anne has TWO books up for grabs, both ebooks: Doctored, in which an infectious disease doc travels the world and meets a nurse who ends up shaking up her world. 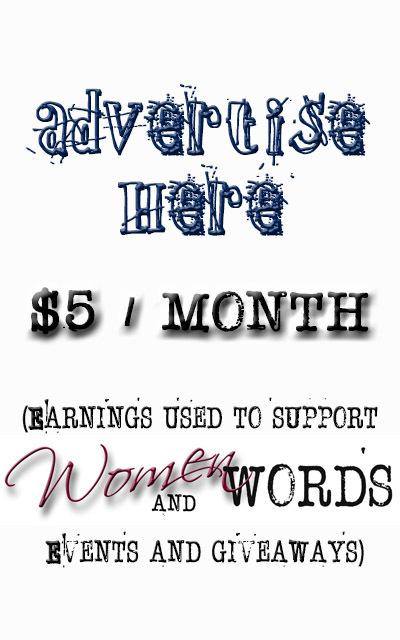 Women and Words will hook ONE winner up with a paperback (anywhere) copy of the Ylva Pride anthology: 6 short stories by Jove Belle, Fletcher DeLancey, Lee Winter, Jae, Andi Marquette, and Emma Weimann. 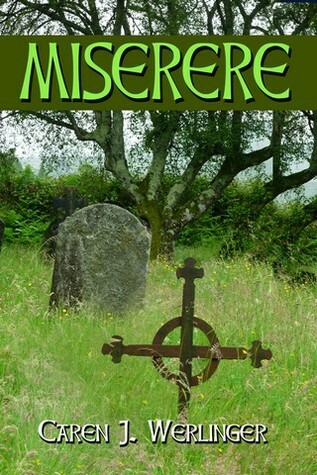 Caren’s offering ONE ebook copy of Miserere. Set in 1968, a young girl’s father disappears in Vietnam and she and the family move into the ancestral home in West Virginia, where the young girl is chosen to find what happened to an ancestor. 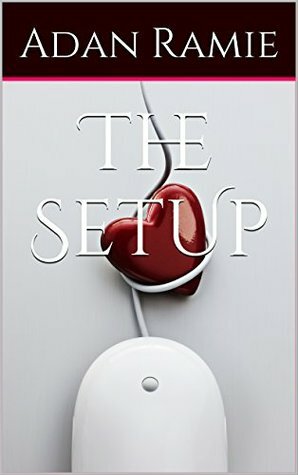 Adan has THREE ebook copies for three winners for The Setup, in which Rachel’s two best friends, tired of her non-existent dating life, try to hook her up with someone online. Hijinks ensue. Denise has TWO ebooks up for grabs of Blind Redemption, book 1 of the Jackie Vaughn psychic detective series! Deceit, lies, redemption! Lee’s got ONE ebook copy of Requiem for Immortals rarin’ to go. 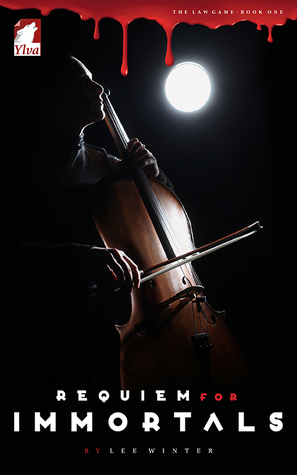 A professional cellist is also a professional assassin, taking out ruthless members of Australia’s underground. Then she gets a contract to kill a woman but she doesn’t understand why anyone would want her dead. And as she gets to know her, she’s not sure why she cares. 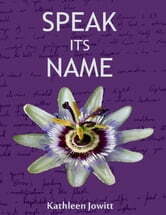 ONE ebook copy up for grabs of Liz’s Unspoken. Two women, both struggling to put themselves through college, both dealing with other issues. Can they overcome them to see each other in different lights? Win it and see! Award-winning romance author Georgia has ONE ebook copy of her romance, Rescued Heart (Puppy Love series) ready for you! Welcome to Junebug Farms animal rescue, where Lisa is in charge of intakes and adoptions. 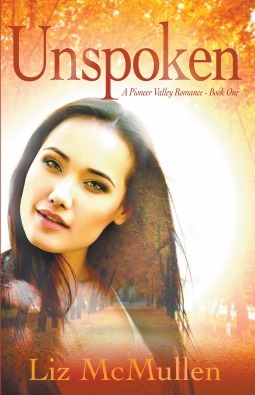 She never expected to meet somebody like volunteer Ashley, and sparks just might fly. Kat’s got TWO EPUB copies of Sizzle up for grabs. It’s the summer of 1981, and a vice detective in Miami and a DEA agent are in the middle of tracking a drug cartel. And in the heat, anything could happen. LOOK! 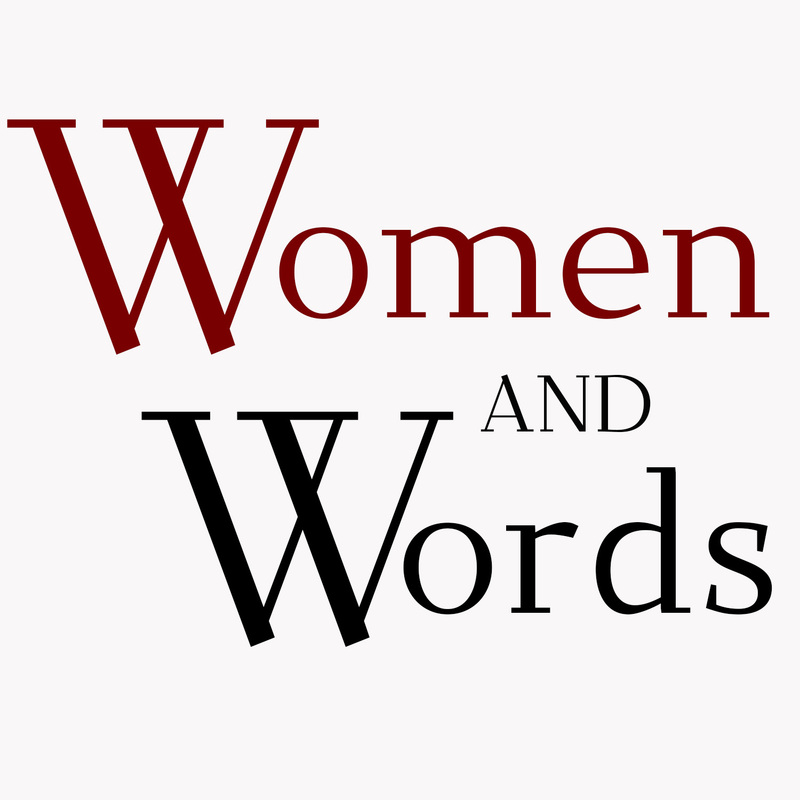 You, too, can get you a Women and Words tee! And we will ship out of the US. Check out the designs. Kate had ONE ebook copy of Training Ground wrapped up in a bunch of tinsel just for you. 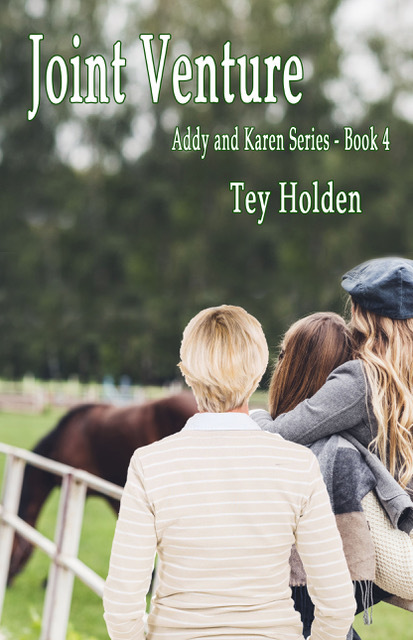 Two teenaged girls form a bond through sports that lasts throughout the years and across miles. 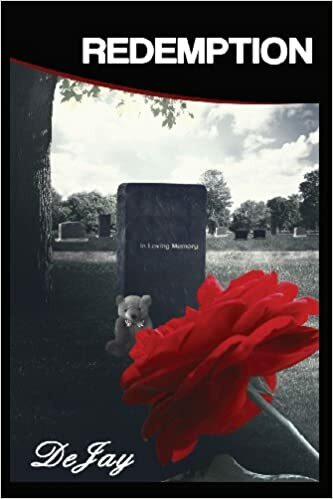 Sandra has TWO ebook copies of the second installment in her Shirley Combs and Dr. Mary Watson mystery series, The Illustrious Client. In Portland, OR, a young international pop star needs the help of the dynamic duo. Win to see what happens. 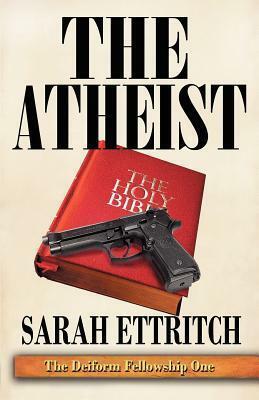 Sarah has ONE ebook copy of her mystery, The Atheist, wound up and ready to go. Jillian doesn’t believe in God, and she really doesn’t believe that the local pastor is an agent of God called a Deiform. But when he ends up dead and she’s accused, things get a little hairy. Award-winning author Victoria has TWO ebook copies for TWO winners of A Small Country About to Vanish. A sweeping tale that follows two childhood sweethearts as they come of age and face impossible choices. BYWATER BOOKS has ONE copy of State of Grace, by the late Sandra Moran, who we all still miss terribly. Ebook or paperback (US only for paperback). 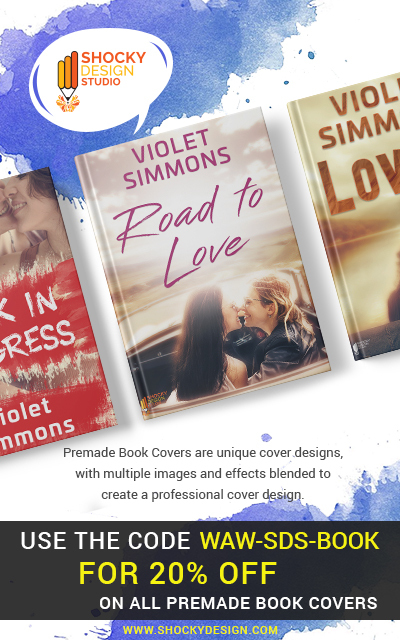 BOLD STROKES BOOKS is offering ONE ebook, WINNER’S CHOICE. Go check out the wares. DESERT PALM PRESS has TWO books to give away, either ebook or paperback (wherever). Two winners, winner’s choice of books. Check ’em out. 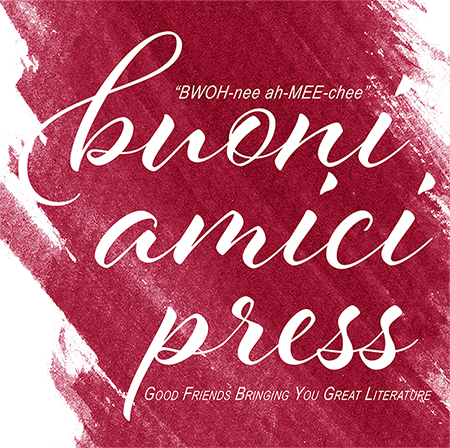 YLVA PUBLISHING is giving away ONE ebook, WINNER’S CHOICE! Here you go. HOOTENANNY ***** 5 Star Work! Thank you for organizing. Let’s do a HAPPY DANCE on this second day. Thanks! This is a big, happy event for us! Hope I win something today! Day 2 and still going strong. Best giveaway EVER! Enjoy spending Hootenanny with Tucker and friends. Happy First Hootenanny Tuesday to all! This is another great list of books! Day 1 was a hoot!!! I hope day 2 will be just as good!!! Thank You!!! Another exciting day of the Hootenanny! So glad the Hootenanny is back! LOVE IT! here again. Two days on the trots. Happt Hootenanny. Yes! Don’t we have the best community of writers and publishers? This year they totally turn out for us! WOW!!!! So many this year. Let’s hoot again like we did last winter. Let’s hoot again like we did last year. After all, reading time is here! Count me in. This is great way to find new books and writers. Another day of great books! Love this. Awesome books! ! I love Hootenanny. Thanks to all the authors for being so generous! Good morning, what a fine day to be in love with the written word! Thank you for your festive posts and Star wars enthusiasm. We are stoked at our house too! Hi everybody, thanks a lot for all these fantastic books. Hoo-Day Two! Count me IN!! Okie dokie, I’m assuming that since the “Leave a Reply” box doesn’t give me an email address spot, but shows up with my name, you already have it? I get this in my email box daily so I guess that makes sense. See what confusion the Hootenanny doth wrought? Such a fun occurrence! Awesome selection. Thanks to all the folks who donated! This is so exciting. Look how many amazing books there are. Thank you all, authors, for the wonderful opportunities for these 12 days!! It’s exciting! Day 2 is a great day in the book giveaway! Yeah! This is a great selection of reading! have to say, i love your holiday enthusiasm brightening up my inbox! and your mischievous elves… tee hee! And we love you stopping by to brighten up our comments. Always look forward to this!!!! Hootenanny – the best christmas countdown ever! Wow! Happy Hootenanny to us! Books, Books & more Books! You guys are Awesome…. please count me in! Those elves are up to no good already but love reading about their shenanigans! Another fabulous list of books!! Day two and more amazing books. Hoping to win today. Another great day of books, yay! Happy hootenanny!!! More lovely books to read!!! I’m glad you’re not a robot, but take comfort in knowing that were you a robot, you’d be a reading robot. And that’s a good compromise. Best Of Luck To everyone! Woo! Thanks! Today’s is my favorite! It’s a great day for a book giveaway. shout out to all the amazing writers and publishers – much good, very thanks. How could anyone pass on this! Wow what an amazing giveaway! All the authors rock! It’s good fun to see all the great titles and authors. New books to explore whether I win or not. I’m in for a chance! Marvelous giveaways here! So many great reads!! Love the Hootenanny and how it’s now part of our Christmas tradition. Books for stocking stuffers, for presents, and some for me too! What’s not to love about this?! AWWWW! Jove, look! We’re part of a tradition! YAY! I’ve always wanted to be a tradition! Good luck everybody and to me too because that is a slamming batch of goodies!! So many books! So many prizes! Day 2 and your off the rails already! And I already have a copy of Jane’s World, but I LOVE that book, so I’m excited for the lucky winner of that one too! In other musings, how do you managed to last to Day 5 before spiking your eggnog??? I can send the rescue elves over to instruct on how best to remove the helmet from the reindeer. They have some experience as they helped Winnie the Pooh get the honey jar off his head AND helped Peter Rabbit escape from Mr. McGregor’s cat. Yeah..I hang out with way too many little people. I could use some adult books please. Well done Hootenanny! Great books. Please add my name. Seasons Greetings! I’d love to read any of these books!!!! Jumping for Joy, day 2 of the hootenanny is here! Oh my, that’s a lot of presents! Congratulations to all the day 1 Winners!! 🙂 Please enter my name in for day 2. Thank you! Thank you to the ladies at Women and Words for hosting another hootenanny!! Hello eggnog spiking elves! I’d love to win a cozy read. Sign me up please and thanks! Today’s banner is great! One thing I like about the Hootenanny is seeing so many comments from other readers who are excited about books! Yes a tradition for Terry and I, we love the Hootenanny!! So much fun!! So many new authors! Count me in. Day two and the list seems to be even longer. Wow! Day 2 rockin it out!!! 2nd day and I’m here to play! And there are more great books today! Amazing! Oh My Goodness and I do mean Goodness, great books and Naughty Elves it must be Hootennany time. Hootenanny- truly the most awesome event on the planet! I am not sure my TBR pile can take this! Wow! Day 2 of the best holiday I’ve ever heard of – ever! Great Idea. Great selection of books. Be happy to participate next time. Back for Day 2! Thanks! This sure ain’t your Hootenanny from when I was a teenager! But the reprimands to the elves are sure a hoot! Day 2 of the Hootenanny! Yay! another day, another chance! Yippee! Another fun day at the Hootenanny and more great books. Loving this. Wow, so many great books! Thanks to the Kindle you both gifted me last year, I now own a number of these (kindle one-click is dangerous!) If I win something I already own, can I pay it forward and re-gift it back to the entrants? No worries–when Jove and I do the drawings, we organize things with the readers, too. We do get some readers donating to others, which is super-cool. That’s what we’re trying to do, friends, is SHARE AS MUCH LUV AS POSSIBLE. What a fabtastic lineup of super stars for Day 2. Nice, I love the picks for today. Have a good one. Tis indeed the most wonderful time of the year 🙂 Nice idea! This year is off the charts! A great promotion of all of the fantastic Lezfic authors. Great bunch of books! count me in!!! Wooo!!! Day 2!!!! Count me in!! Thank you everyone!! Another great list. Count me in please. This sounds like fun and who doesn’t like saying Hootenanny! here we go for another day of great giveaways. So many books to love on! What a great lineup for day 2! Back again for Day 2–woo hoo! Lots of books. Thanks everyone. Another rocking list! Thanks to everyone who has donated! Day 2! My fingers are crossed! I love this Hootenanny, it lets me know what books I have missed. Hoot, another day of Hootenanny. Please Elfie look my way! YAY! Love this time of year! Wow, you have your work cut out for you!! Remember, it’s five o’clock somewhere… Thanks Elves! Lookin’ good! Greetings from Canada 🙂 Hoping to win something and grateful to all contributors and organizers. Peace and blessings. Break out the eggnog and count me in! Let me win something, anything. Live them all! Pleased to see so many new people joining in! And so many old people! And so many people who are here again who would prefer to not be called ‘old’! Count me in! Another fine selection!! Thanks!! Another great list of books. Add me for day two. Another amazing array of books and giveaways, well done and thank you. Great set of books today and I loved the song. On the first day of Hootenanny, my true loves gave to me…. a beautiful story by Suzie Carr! Thank you, Suzie and the Hootenanny wranglers. Looking forward to getting in the spirit.Easy to do with all the choices ya’ll are offering! This is my hap, hap, happiest time of the year and my wife’s first experience of the Hootenanny! This is my first Hootenanny. My wife Layne Beckman Wright told me Shouldn’t miss it! This is the first Hootenanny I’ve ever been to but let my tell ya I love it! Don’t you just love women and words?? And the song is just hillarious!!! Another great day. I want to see the elves’ lightsaber duel. Count me in for the fun. Another round of great books. Thanks to all the authors who participate. Gets bigger and better every year. Please enter me into Day 2?of the hootenanny! Awesome! It’s December already? Must look at calendar. Andi do you and Jove take turns with the Christmas-song inspired poems over the 12 days? It is terrific! This is my favourite site this time of year!! Love seeing all the great books!!! Please SEND ME THE ELVES. WOULD LOVE TO MEET THEM. thank you for all you do. I love the words to the songs. Makes my day. You and the crew are a hoot. Many many thank you to all the authors and publisher for such a great hootenanny. It sure makes a fun holiday season. Please inter me today. A great big thank you to Jove and Andi. Thank you everyone for all that you do all year long for us as readers..Please Keep Writing! Please put me in the Day 2’s drawing. Looking forward to my first Hootenanny . Absolutely love the idea! Thank you for doing this year after year. I love winning even one book because it exposes me to a possible new favorite author. Thanks to all the people offering great books and swag today! I love how many there are to give away! Thank you for the contest and allowing us to enter! With the weather so very cold its a good time to stay in and read a good book. God Jul! I’m going to have to up my book allowance this season!! Just barely made the cutoff!! Another great lineup! Day two, hope to hear from you! Ohhhh a new Georgia Beers book AND it’s about dogs? I need this!!!! Another great lineup! Thank you all! This is great, my first time here! Thanks! Yay! I made it in time today!! Love the Hootenany! I’m in! Whew! Just made it. That’s it for day 2! Back in a couple of minutes with some winners! Even not winning is SO MUCH FUN. Can’t wait for Day 3!!! It’s so nice to have something to look forward to every morning and evening! Okay, now Facebook is fecking with my hootenanny flow! That is not cool. Love the lineup of great reads. Congrats to the winners yesterday! Awesome giveaway! Wow, too much fun! Congratulations to all the winners, and good luck to the rest of us! Happy holidays everyone! You guys totally rock! Thanks for hosting the Hootenanny again this year! Merry Christmas, all! A great group of authors again today. Woo Hoo! Count me in.